If you work in emergency situations, having equipment that is ready to use when needed is integral. 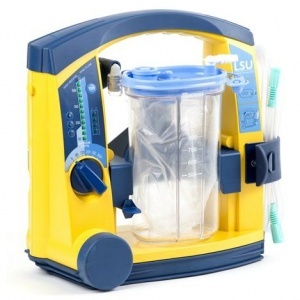 The Laerdal Suction Unit with Semi-Disposable Canister is a powerful, durable suction machine that can tell you in just ten seconds if it's ready for use in the field. 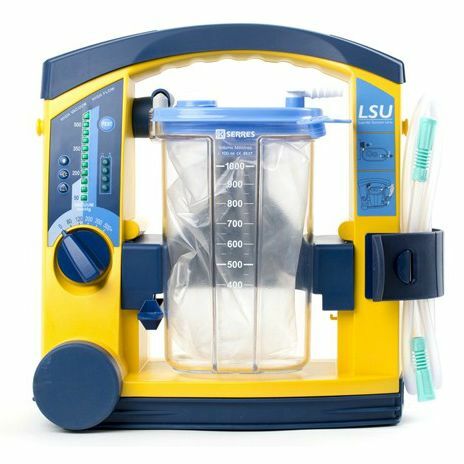 The Laerdal Suction Unit is a portable, powerful and highly reliable unit designed for optimal preparation in emergency situations. The Semi-Disposable Canister configuration has a reusable canister and disposable liner, helping you avoid contact with contaminants. Recommended by Laerdal themselves over the Reusable Canister version, the Semi-Disposable configuration has an improved canister holder for easy release. The new design also helps you to better visualise the fluid volume in the canister. The unit automatically charges when connected to an external power source and is able to reach 80% after just three hours. This therefore means the Suction Unit is ready to use when necessary. The power cord can even be connected to a vehicle connection so you can charge on the go. For ease of use in difficult situations, the Laerdal Suction Unit has a built-in suction indicator with colour coding. This ensures the correct vacuum strength is selected for children. Combining this with the extra-large dial for ease of use with large gloves, the Suction Unit enables providers to quickly select the correct amount of suction for any given situation. 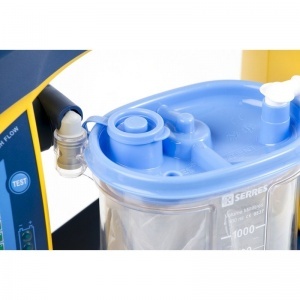 The Laerdal Suction Unit with Serres Semi-Disposable Canister will be subject to a delivery time of 3 - 4 working days after the point of order. For more information, contact our Customer Care Team at 020 7501 0593.